The mecca of game fishing is Port Douglas. The blue waters of the Great Barrier Reef off Port Douglas have long been recognized as the game fishing capital of the world. The prime fishing area stretches from Lizard Island in the north, to just south of Port Douglas. Port Douglas is the envy of many fisherman and is world famous for its fishing opportunities on the Great Barrier Reef. 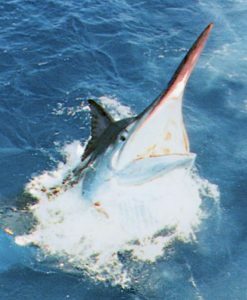 Anglers from all over the world flock to Port Douglas for game fishing especially during the months of September to December, as this coincides with the migrating billfish species such as Black Marlin, Blue Marlin and the occasional Striped Marlin. 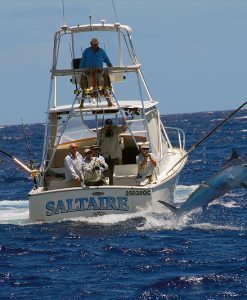 Blue Marlin are also caught out wide for a slightly longer season than the other game fish. 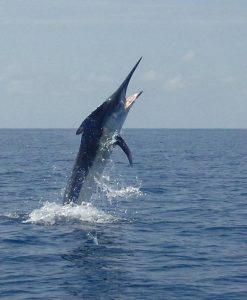 Fishing for Blue Marlin from Port Douglas can be done from December to March. The Great Barrier Reef provides many amazing opportunities for fishing and it is for this reason that anglers from all over the world come to Port Douglas to do some serious fishing. Game fishing is the ultimate adrenaline rush and for many anglers, nothing can compare. 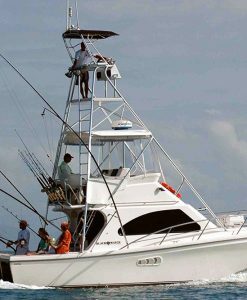 A lot of the game fishing boats from Port Douglas are booked 12 to 18 months in advance, especially during fishing tournaments. 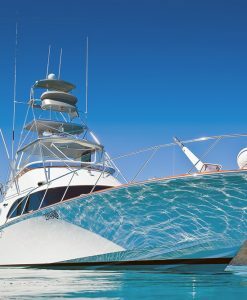 Game fishing from Port Douglas is only available on a sole charter basis. There are no opportunities for shared game fishing charters. For many anglers, game fishing is a lifelong dream – they don’t usually want to share that dream with a complete stranger! 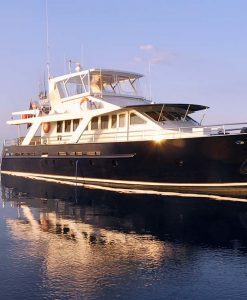 With the number of world class anglers coming to Port Douglas to do game fishing, there is an expectation to have world class vessels for game fishing. 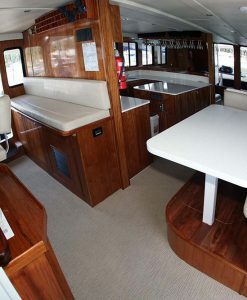 Port Douglas has a fleet of the most modern, well equipped game fishing boats you will find. 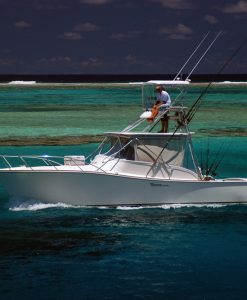 Custom built game fishing boats are fitted out with top of the range of safety and communication gear, air-conditioned state rooms and provide comfortable accommodation on the water. 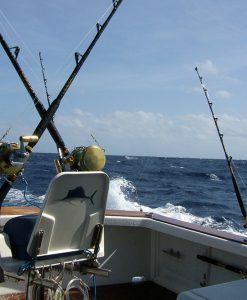 The game fishing boats are equipped with the best custom built rods and reels you can get. 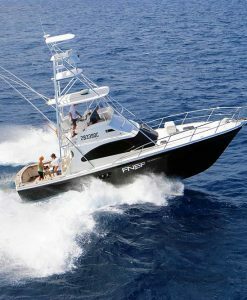 In addition game fishing boats have very experienced crew that simply live to fish. It is their passion.